This Valentine's Day theme show features teen heartthrob Davy Jones of The Monkees. Ernestine, the telephone operator: How may I, in all humble servitude, be of assistance? Mod, decadent, and reflective of the times! 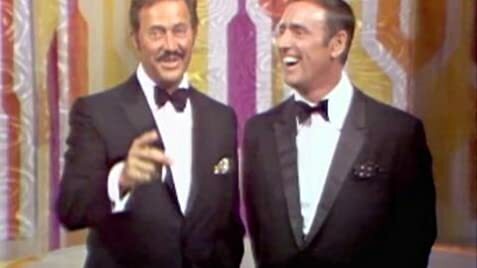 In the evolution of television humor Rowan & Martin's Laugh-In was probably the forerunner of Saturday Night Live. It's relevant social commentary combined with incredibly adroit acerbic wit allowed this show to cover social, personal, political, and moral territory no show had ever dared attempt on prime time television. 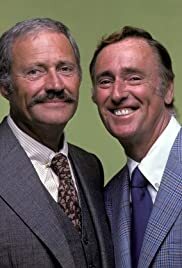 For those who watched regularly the catch phrases were priceless and introduced them into our mainstream lexicon. Sayings such as "sock it to me" were not only uttered by business execs, secretary's, hosuewives, and everyday working people wishing to emulate the awakening of social moree's but also spoken freely by media and political types wishing to be thought of as in touch with the younger hip generation. Laugh-In spared no one in it's sarcasm and very often stepped dangerously close to the edge with network execs. Once the show caught fire with TV viewers it became sheik for actors, actresses, and politicians to lobby for a position on next week's show. Unlike SNL Laugh-In could not sustain and reinvent itself and by 1973 the nations TV watchers were ready to move on. Most of the regulars on the show fell into guest shots on other shows and eventually drifted out of site of the public. A couple of the alumni went on to great success in movies and tv. Goldie Hawn was a "graduate" of the show and went on to win an Academy Award for Cactus Flower in 1969 and has become a certifiable star in Hollywood. Lily Tomlin, and who can forget her priceless portrayal of Ernestine the telephone operator at the switchboard, went on to become one of America's most beloved and cherished comedic performers who also showed her acting agility in dramatic roles as well. All in all Laugh-In is a part of television history and deserves its place as a cherished memory and deserving of re-run time on TV Land.